My red NZ just had her third litter. Babies seem small but ok they were only born last night but after 24 hours she still is oozing blood and I see some tissue like pieces in the cage in various places. I think she is stressed out as we are having a little heat wave. Does the tissue passing represent a problem? We think she is feeding the babies but I am concerned about her oozing blood and having a slightly dirty vent. Thank you! Your column is the best I have ever seen!! After giving birth, the vent can certainly look "slightly dirty." That is dried blood, and in time, the doe will manage to get it all clean. But the 'oozing' blood does not seem normal, especially after 24 hours. I suspect she has retained a placenta or even a kit, given the bleeding and tissue-like pieces. I don't know if she will be able to eventually expel all the remaining products of conception, or whether any retained material will result in sterility, a life-threatening infection or a catastrophic bleed or the like, none of of which is good. This is a doe I'd haul off to the vet for a professional opinion, as soon as logistically feasible. Hoping everything turns out okay! We raise Silver Fox rabbits, which are about 9 to 11 lbs. We had a similar situation with one of our does, Elise. She aborted her litter 5 days early and retained two that we could feel by palpation. This is what we did to help her out. 1. Add 4.5ml Calcium Borgluconate of a 23% solution + 2ml Proplyine Glycol + 3.5ml of H2O. 2. Give 5mls of calcium mixture above to your rabbit by mouth, orally (our rabbit is 9.8lbs). This solution gives calcium needed for the uterus to contract. 4. Give 0.1 to 3 units/kg of oxytocin by injection in the muscle (We stay on the side of caution and give the least amount). If she doesn't deliver with in 12 hours, repeat steps 2 - 4. 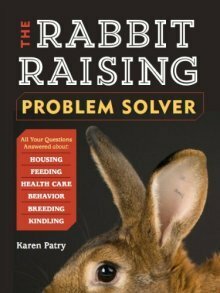 Your rabbit may have an infection from the retained fetus, so you may need to give antibiotics and/or see your vet. This worked for us, and Elise has gone on to have other litters.